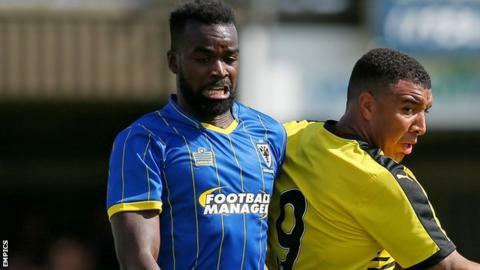 AFC Wimbledon's on-loan defender Karleigh Osborne is likely to miss the rest of the season with a knee injury he suffered in training last week. The 27-year-old centre-back has played 25 times for the Dons since joining on a season-long loan from Bristol City. "Unfortunately, the injury is worse than we first anticipated and it looks like he will not play during the run-in," Dons boss Neal Ardley said. "He needs to have another MRI scan to confirm the extent of the damage." Wimbledon are currently 10th in League Two, three points off the play-off places.